Robyn Loves Nails: What a Week! All seems to be calming down around here though so I will be back with new nails for tomorrow's challenge prompt - Candycanes...and I have something sparkly for that one! 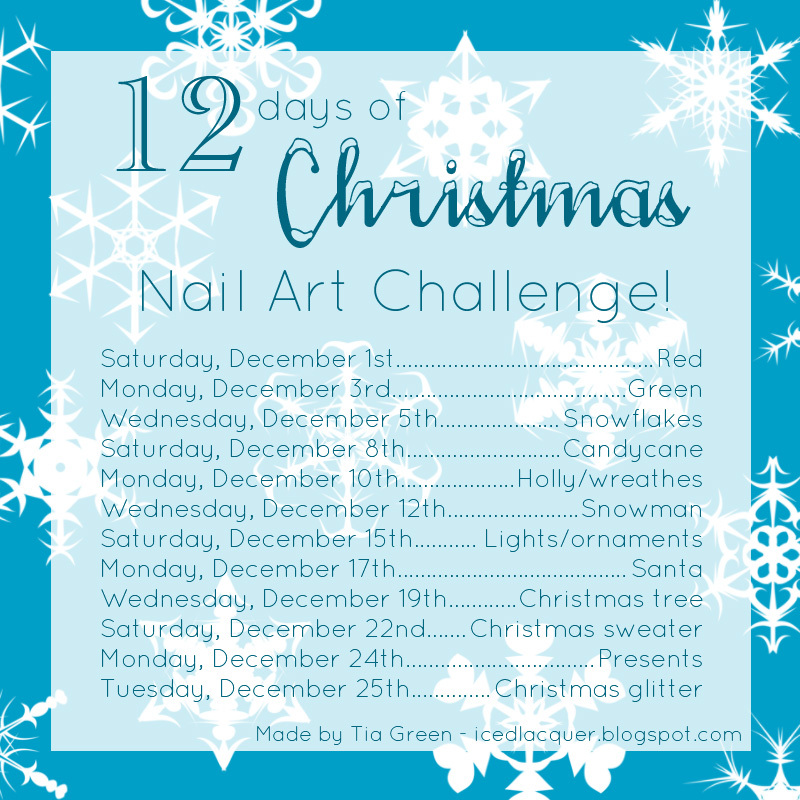 Check out Tia's challenge if you haven't already. I'm having a great time with it!